For January 2013. 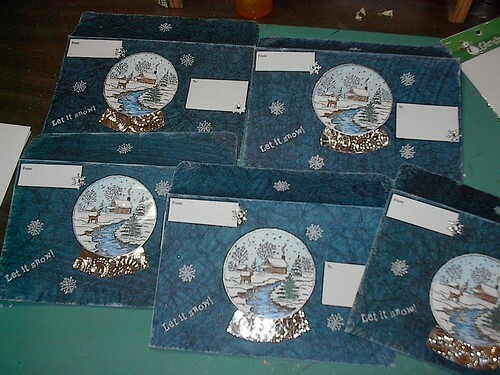 We created winter theme envelopes at Your Paper Pantry. 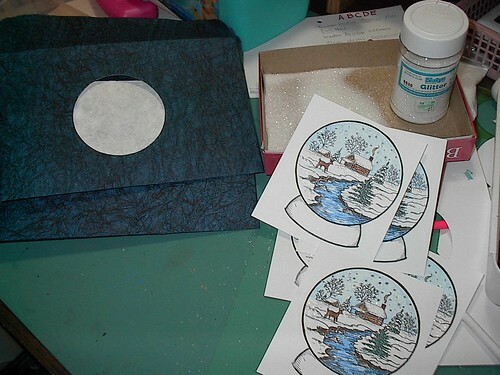 I have taken this very thick crinkled paper and cut a hole in it after folding it into an envelope. I tried to make the picture look as those it were a snow globe with pieces falling down...but the pieces kept sticking to the plastic on the globe. But over all I thought it turned out cute.